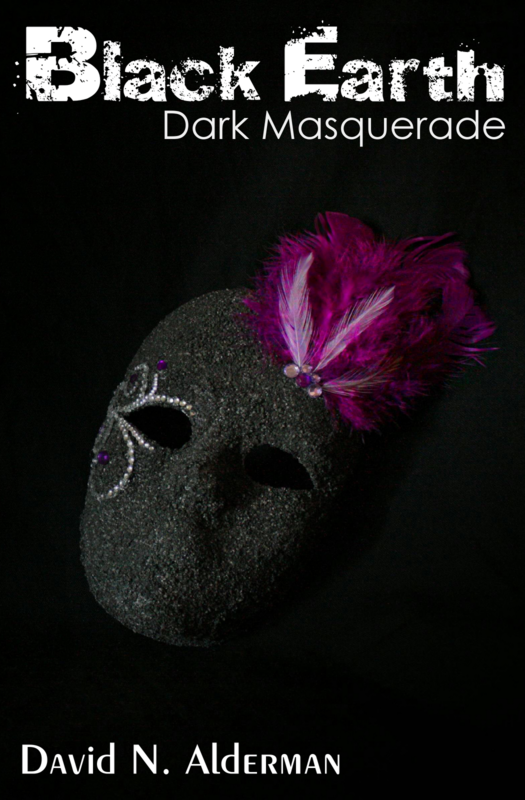 As we approach the release of Black Earth: Dark Masquerade – July 25th (less than a month away) – it’s time to reveal the cover design for the book. I don’t have the full paperback spread yet, but this is the cover for the ebook edition, and the front cover for the paperback. For those interested in how the mask found on the front cover was created, check out some of my other blog posts detailing the supplies and process used.